Cruroplasty can cope with problems such as the curvature of the lower leg, underdeveloped calf muscles and posttraumatic deformity. Other disadvantages of the leg shape can be corrected or eliminated by physical exercises. But if you face the features of the lower leg mentioned above, we offer you a procedure that allows to correct and give a beautiful shape to the legs. Elimination of the tissue problems occurring in the inner part of the lower leg is made by introducing the implant, which reduces the gap. Preliminary consultation of the surgeon. Feet deformity leading to curvature of the leg bones. Lack of vitamins, increased load on the legs - all of this can lead to feet deformities, which in turn causes the bending of the bones and joints of the entire leg. chronic diseases of internal organs. Bruising and swelling may be observed in the areas of surgery within a few weeks. You can also run into the lymph edema, due to which the legs become heavy and increase in volume, and the induration under the skin may be observed also. In case of the implant large size excessive tension of the skin may occur, which causes poor circulation. The discussion regarding the desired results and the selection of the implant are being conducted preliminary. The implants are made of a special cohesive gel, so that they acquire complete similarity in density to the muscles of man. Implants cannot be differed from natural muscle even by touch, they are not being deformed over time and do not require replacement. The incision 4 cm long in the popliteal rugosity is made for insertion of the implant. The implant is introduced through it and positioned in the shin area under the muscle fascia. Then the incision is being sutured and masked with skin rugosities and it becomes completely invisible after healing. Correction is being performed using intravenous or epidural anesthesia. Sutures are removed by the doctor in a week after surgery. Swelling and slight pain may be present in the place of intervention for the week. It is recommended to wear the compression garment during the rehabilitation period in order to avoid physical loads. It is forbidden to walk and lift weights. It is advisable is to abandon sports and weight lifting for another 1.5-2 months. The results will be visible after 2-3 months after the correction. During this period, the implant is straightened and is being adapted to the natural structure of the legs. Maximal effect can be observed in one year after cruroplasty, the muscle and popliteal fascia is stretched during this time, and the shape of the skin adapts to muscular form of the legs during this time also. Our clinic has extensive experience in eliminating the disadvantage of the legs shape by using modern methodologies. You may observe the quality of our work by the photos of our patients before and after the procedure, as well as by the reviews that you can find in the "Reviews" section. 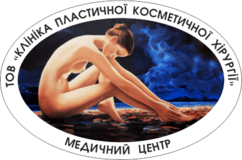 Visit our clinic in Poltava or contact us by phone in order to find out more about the procedures, how much it costs and how price is being formed. The cost depends on the complexity of the desired shape and curvature, as well as cost of medications, which will be used during the operation. We offer reasonable prices for the most modern techniques and services of qualified experts in the field of aesthetic medicine. Unfortunately reviews about this service are not yet available. Review successfully sent, thank you for your message! Review will be published after passing moderation.